Doctors never prescribe anabolic steroids for muscle building in young, healthy people. Abuse of anabolic steroids can have long-term negative effects on the male reproductive system. Severe depressive symptoms and suicidal tendencies are often prevalent after steroid use is discontinued. This may contribute to continued use. Steroids are legal by prescription only, to be used to treat specific medical conditions and only safe when used under a physician’s supervision. 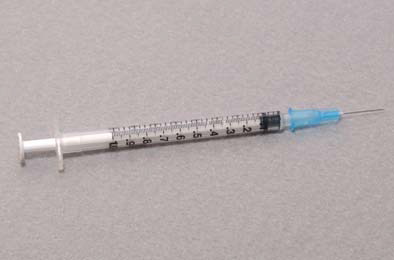 Needle Sharing can be a problem for anabolic steroid users. This can lead to life-threatening diseases such as HIV/AIDS or hepatitis. 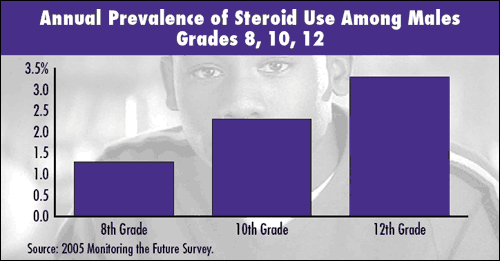 Drug Abuse) findings show that in 1998, 68.1% of 12th graders believed that steroids were harmful. In 2005, just seven years later only 56.8% believed that steroids were harmful. Prevention research shows that as perceived risk goes down, use rates go up. ​Many users report feeling good about themselves while on anabolic steroids, but researchers report that extreme mood swings can also occur, including manic-like symptoms leading to violence. This is because these drugs act in a part of the brain called the limbic system, which influences mood and also involves learning and memory. It can also lead to depression or irritability. Steroids can also result in impaired judgment stemming from feelings of invincibility.